While the relationship between Second Temple Jewish exegesis and early Christian exegesis as demonstrated in the New Testament is universally recognized, the reasons for their similarities and differences are often elusive. Donald H Juel in Messianic Exegesis seeks to unknot this tangled web of interpretation. Juel's thesis is simple: Christianity's origins are rooted in the earliest Christian interpretations of Israel's Scriptures. The difficulty resides in showing how these distinctive interpretations arose. Juel argues that the events of Jesus' life form the fulcrum for the Christian re-reading of Jewish Scripture. In particular, Juel shows how Christian belief in a crucified and risen Messiah guided both the selection and appropriation of Old Testament texts -- texts like 2 Samuel 7, Daniel 7, and Psalms 2 and 110. With the confession "Jesus is the Messiah" as the central claim of Christianity, Juel is able to show the fluidity of contemporary Jewish exegesis while also making the anomalous uses of Scripture within the early Christian community understandable. Christians proclaimed Jesus as Messiah throughout their exegesis and thereby defined their emerging community through the way they read Scripture. NEW BOOK FROM MOHR SIEBECK: AHARON OPPENHEIMER. Rabbi Judah ha-Nasi. Statesman, Reformer, and Redactor of the Mishnah. [Rabbi Jehuda ha-Nassi. Staatsmann, Reformer und Redaktor der Mischna.] 2017. XIV, 291 pages. The patriarch Rabbi Judah ha-Nasi headed the independent Jewish leadership institutions in Roman Palestine at the turn of the second and third centuries CE. He conducted the affairs of the patriarchate with a high hand, was renowned for his learning and behaved like a kind of anointed king. He was also incredibly rich, a consummate politician, and close to the Roman authorities. He made taqqanot (reforms) in the light of circumstances, and tried to cancel mitzvoth (religious regulations), such as the regulations about shemita (not using the land in the sabbatical year), which entailed hardship for the Jews of his time. He was ahead of his times in his humane and liberal decisions. Rabbi completed the redaction of the Mishnah and thus gave the Jewish people the work that is second in importance only to the Torah, although by so doing he put a brake on the development of the oral law. Aharon Oppenheimer attempts to present Rabbi Jehuda ha-Nassi's character and his life as well as examining the significance of his work for his own generation and succeeding ones. GENIZA FRAGMENT OF THE MONTH: OCTOBER 2017: Early Karaite Halakha according to Karaite Commentaries to the Bible (T-S 16.316) (Yoram Erder). 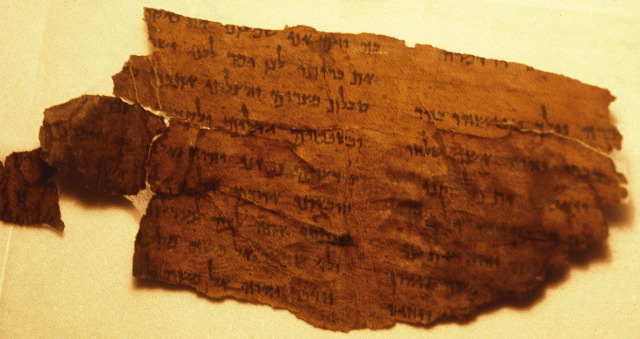 The Genizah documents are essentially fragmentary. In order to understand the Karaite halakha in these documents in its broad context, one needs to read the extensive corpus of early Karaite commentaries, which are mostly found in manuscripts in western libraries and in the Firkowitcz Collection in Russia. These commentaries are written in Judaeo-Arabic and most of them were not in the hands of the first scholars. Not only that, but the first scholars did not trouble themselves to compare their Genizah documents with the early Karaite commentaries available in their time, and instead they made do by reading late Karaite commentaries to the Bible written in Hebrew in the later Middle Ages, since these were readily available in print. The Karaites that wrote these later books did not, in their writings, present the halakhic controversies of their predecessors. The first scholars studied the early Karaite halakha in the light of poor remnants of sectarian halakha they found in the Talmudic literature. From 1910 they had at their disposal the Damascus Covenant scroll that was discovered in the Genizah. When and where it was written was still then in debate. Nowadays, of course, we can examine early Karaite halakha in the light of the entire corpus of the Dead Sea Scrolls. Past PaleoJudaica posts noting Cairo Geniza Fragments of the Month in the Cambridge University Library's Taylor-Schechter Genizah Research Unit are here and here and links. For many past PaleoJudaica posts on the Karaites, start here and follow the links. Cross-file under Karaite Watch. NEW BOOK FROM MOHR SIEBECK: MICHAEL J. MORRIS. Warding Off Evil. Apotropaic Tradition in the Dead Sea Scrolls and Synoptic Gospels. [Das Böse abwehren. Apotropäische Überlieferungen in den Schriftrollen vom Toten Meer und den synoptischen Evangelien.] 2017. XV, 296 pages. Wissenschaftliche Untersuchungen zum Neuen Testament 2. Reihe 451. In this study, Michael J. Morris examines aspects of synoptic gospel demonology; specifically, human responses to demonic evil. It is clear that early Christian demonology can be more fully understood against the background of early Jewish traditions. In the Dead Sea Scrolls, for instance, there are two fundamental ways by which protection against demons is sought. The first anti-demonic method is “exorcism,” and the second is characterized by its preventative nature and is typically referred to as “apotropaism.” Although many contributions have been made on the topic of exorcism in the gospels, less attention has been paid to the presence of apotropaic features in the gospel texts. Therefore, Michael J. Morris offers a timely examination of apotropaic tradition in early Judaism and its significance for demonological material in the synoptic gospels. He shows how the presence of apotropaisms not only shape conversations about early Christian demonology, but also have broader implications for the understanding of evil, eschatology, and the depiction of Jesus in relation to each gospel. DR. RABBI ZEV FARBER: How Is It Possible that Jacob Mistakes Leah for Rachel? (TheTorah.com). “When morning came, there was Leah!” (Genesis 29:25). Could Jacob not tell the difference between his beloved of seven years and her sister, for a whole night? Commentators have long tried to make sense of the story by adding extra details, but perhaps we need to rethink the nature of Jacob and Rachel’s relationship during those years. ARCHAEOLOGY, DECORATIVE ART, AND EPIGRAPHY: Where Maccabees overthrew idolatry, early Georgian Christian mosaic uncovered. Ashdod, today home to the largest community of Georgian Jews in the world, was a Byzantine base for a Christian Georgian prince (Amanda Borschel-Dan, Times of Israel). The first evidence of a Georgian Christian presence on the shores of the Holy Land was uncovered during August excavations in the ancient city of Ashdod-Yam. Dating to the Byzantine period, a Greek inscription was found on the floor of a 1,500-year-old church, which mentions the date of 292 according to the Georgian calendar. The Ashdod-Yam inscription is the earliest known use of the Georgian calendar in the world — including in Georgia. Interestingly, according to the excavation’s lead archaeologists, modern Ashdod is now home to the largest community of Jews of Georgian origin. SECOND TEMPLE JUDAISM: Jesus was more Jewish than you think, says Bible prof. Matthias Henze says the source for the Christian Messiah's faith is best explained after looking at the Second Temple era, when Judaism and Christianity overlapped (RICH TENORIO, Times of Israel). When Rice University religion professor Matthias Henze visits local Houston-area churches and synagogues to promote interfaith understanding between Christianity and Judaism, he focuses on discussing one particular time period: the four-to-five-century gap between the Old and New Testaments. An article on the work of Professor Henze, with special reference to his new book, Mind the Gap: How the Jewish Writings Between the Old and New Testament Help Us Understand Jesus (Fortress, 2017). ASSYRIAN (MODERN SYRIAC) WATCH: Turkey’s Syriac community welcomes monastery’s return. Title deed of Mor Gabriel Monastery transferred to Turkish Treasury in 2014 (Anadolu Agency, Halil Ibrahim Sincar, Nurten Aslan and Selahattin Erol). Turkey’s Syriac minority in Mardin province welcomes the imminent return of legal ownership of the Mor Gabriel Monastery to their community, a monastery official told Anadolu Agency on Wednesday. Deputy Prime Minister Hakan Cavusoglu said earlier that an Assyrian Christian cemetery belonging to the monastery had been mistakenly transferred to the state treasury. "We are now transferring this cemetery back to its owners," Cavusoglu added. This is prospectively good news. I will call it actual good news as soon as there is word that the return has been fully effected. I appreciate the efforts of the Turkish Government to get this one right. I trust that they will be similarly attentive to the related property issues that remain to be resolved. The world is watching. HAPPY THANKSGIVING to my American readers and all those celebrating with us! Today is a normal work day in the U.K., so there will be some normal blogging. Have a good day. NEW BOOK FROM MOHR SIEBECK: Die Makkabäer. Hrsg. v. Friedrich Avemarie, Predrag Bukovec, Stefan Krauter u. Michael Tilly, unter Mitarb. v. Hendrik Stoppel. [The Maccabees.] 2017. XI, 471 pages. Wissenschaftliche Untersuchungen zum Neuen Testament 382. 179,00 €. cloth. ISBN 978-3-16-153861-2. In many respects, the Maccabean period represents a bench mark for the formative phase as well as for ancient Judaism and early Christianity. Alongside the political significance of an independent state in Hellenistic times, there belongs the paradigmatic developments of the complex intertwining of ethnos and confession in Judaism, the establishment of the Torah and the Bible as binding text corpora, and the emergence of religious institutions and parties. In the field of theology, discourses on the Maccabean period had a decisive effect on Jewish and Christian eschatology, martyrology and soteriology. This volume makes the first attempt at providing a complete overview of this epoch from a variety of angles. In thematically ordered interdisciplinary groups, proven experts synchronously consider contemporary events and literature, and take a diachronic look at the far-reaching reception of the Maccabean books and their time. The articles are in German and English. Follow the link for the full TOC. Charles Gieschen demonstrates that angel and angel-related traditions, especially those built upon the so-called "Angel of the Lord" figure in the Hebrew Bible, had a profound impact upon the origin, development, and shape of early Christian claims about Jesus. Gieschen's book falls neatly into two halves. The first catalogues the various antecedents for Angelomorphic Christology -- Jewish speculation about principal angels, mediator figures, and related phenomena -- with chapters on “An Angelomorphic God”, “Angelomorphic Divine Hypostases” (including the Divine Name, the Divine Glory, Wisdom, the Word, the Spirit and Power), Principal Named Angels, and Angelomorphic Humans. The book's second half examines the evidence for Angelomorphic Christology in early Christian literature. This portion begins with a brief overview of the principal Angel and Angelomorphic Christology from Justin to Nicea and then examines in turn the Pseudo-Clementines, the Shepherd of Hermas, the Ascension of Isaiah, the Revelation of John, the Fourth Gospel, the Epistle to the Hebrews, and the Pauline Corpus. Gieschen argues that Christian use of the angelomorphic tradition did not spawn a new and variant kind of Christology, one that competed with accepted belief about Jesus for early Christians' favour, but instead shows how Christians adapted an already variegated Jewish tradition to weave a single story about a common Lord. Another in Baylor's new Library of Early Christology reprint series, on which more here and here and links. THIS WEEK'S DAF YOMI COLUMN BY ADAM KIRSCH IN TABLET: Accident or Crime? How studying Torah could kill a child, and other lessons in involuntary manslaughter from this week’s ‘Daf Yomi’ Talmud study. This week, Daf Yomi readers completed the second chapter of Tractate Makkot, a short section of the Talmud that deals with non-capital crimes. The subject of this chapter was what American law calls involuntary manslaughter: What happens to someone who accidentally kills another person? Clearly, he cannot be convicted of murder under Jewish law, because we learned in Tractate Sanhedrin, a murderer is only guilty if he is forewarned by two witnesses that he is about to commit a capital crime. But does this mean that an unintentional killer suffers no consequences at all? DIGITIZATION: British Library publishes treasure trove of Hebrew manuscripts. New online collection is venerable library's first bilingual online project, letting users search among 1,300 items in English and Hebrew (Raphael Ahren, Times of Israel). The British Library last week launched a new website showcasing 1,300 Hebrew manuscripts, ranging from ancient Torah scrolls and prayer books to philosophical, theological and scientific works. The new site is the library’s first bilingual online collection, allowing users to search for scans of the manuscripts in Hebrew and English. Past posts on the British Library's Hebrew Manuscripts Digitisation Project are here, here, and here. PROF. AARON DEMSKY: Looking through the Window: A Gendered Motif (TheTorah.com). Abimelech, Michal, Sisera’s mother, and Jezebel all look through a window, but their experience is not the same. LECTURE: Rabbi highlights disability theory and symbolism in Rabbinic literature ( Eliana Padwa, The Justice). To Rabbi Dr. Julia Watts Belser, an expert in both Judaic studies and disability studies, being knowledgeable about multiple fields provides a unique opportunity to combine and compare disciplines; she analyzes each field in light of the other. On Tuesday, the annual Jewish Studies Colloquium convened to hear Watts Belser, assistant professor of Jewish Studies at Georgetown University, and to discuss her ongoing work. Introduced as someone whose scholarship “is a constant reminder of our intellectual, moral and emotional responsibility to break down barriers,” Watts Belser presented briefly on her new project, which attendees had read in advance. The project, an essay titled “Disciplining the Dissident Body: Disability, Gender, and State Violence in Rabbinic Literature,” discusses three “rabbinic stories” — Jewish theological tales — and their physical and symbolic portrayals of disability. I noted a review of a book by Dr. Belser here and an essay by her at AJR here. ARCHAEOLOGY: Did David and Solomon's United Monarchy Exist? Vast Ancient Mining Operation May Hold Answers. Archaeology has provided precious little evidence for the biblical account of a powerful Judaic kingdom 3,000 years ago, but the sheer extent of copper mining in Timna, when Egypt was in a state of collapse, is otherwise hard to explain (Philippe Bohstrom, Haaretz). This article is especially interested in the "minimalist-maximalist" debate about whether and to what degree the Hebrew Bible tells us any useful historical information about the so-called United Monarchy. I am more interested in the article's detailed coverage of the Timna Valley excavation. Lots of organic material from the 10th century BCE has been excavated there. This leads me to hope that someday the excavators may recover scroll fragments there from the same period. It's a long shot, but we'll see. Background on the many fascinating discoveries in the Timna Valley excavation is here and follow the links. RELIGION PROF BLOG: Fan Fiction and Ancient Scribal Cultures #CFP (James McGrath). The comparison seems anachronistic to me, but it will be very interesting to see what this special issue of Transformative Works and Cultures produces. MUSEUM REVIEW: JUDAISM IS THE STAR AT A BIBLE MUSEUM BUILT BY HOBBY LOBBY. $500 million Bible musuem opened on National Mall park in Washington D.C. (JTA/Jerusalem Post). This review is basically positive, but not without criticisms. Background on the Museum of the Bible, Hobby Lobby, and the Green Collection, is here and follow the many links. REPLICA UPDATE: Sailing a 2,400-year-old Ship That Sank Off Israel's Coast. Over many centuries, hundreds of ships sank along what is now the coast of Israel. Report from a cruise on a replica of the oldest found so far (Moshe Gilad, Haaretz). The ancient ship was discovered in 1985. It lay 70 meters from the shore, its bow pointing landward, at a depth of about two meters, under a layer of sand of similar thickness. Dr. Elisha Linder, a marine archaeologist from the University of Haifa, was in charge of researching the unique find. The quantity of wood used in the ship’s construction, and its quality, together with the precise dating, reflected the ship’s importance. Its one-armed anchor was the first of its type to be found whole. It took a full 15 years for the vessel to be lifted out of the water, dismantled, preserved and reassembled. It’s now a fine exhibit in the Hecht Museum at the University of Haifa. The findings on display, which constitute about a third of the original ship, were the foundation for the construction of the replica. In the past three years, Prof. Yaacov Kahanov of Haifa University’s Department of Maritime Civilizations, a world expert in the study of ancient ships, led the initiative to build the replica. The resulting full-scale ship, constructed using methods that were in use in the Mediterranean around 400 BCE, is faithful to the original. Kahanov passed away just before the work was completed. The excavators think the ship was likely crewed by Greeks rather than Phoenicians. Background to the story is here and here.